Robin has an unexplained love of all vehicles. We live beneath the flightpath of Leeds Bradford airport, and still, each time a plane goes overhead he shouts “AEROPLANE!! !” at the top of his voice and jumps around, as if he hasn’t seen dozens of them every day of his life. 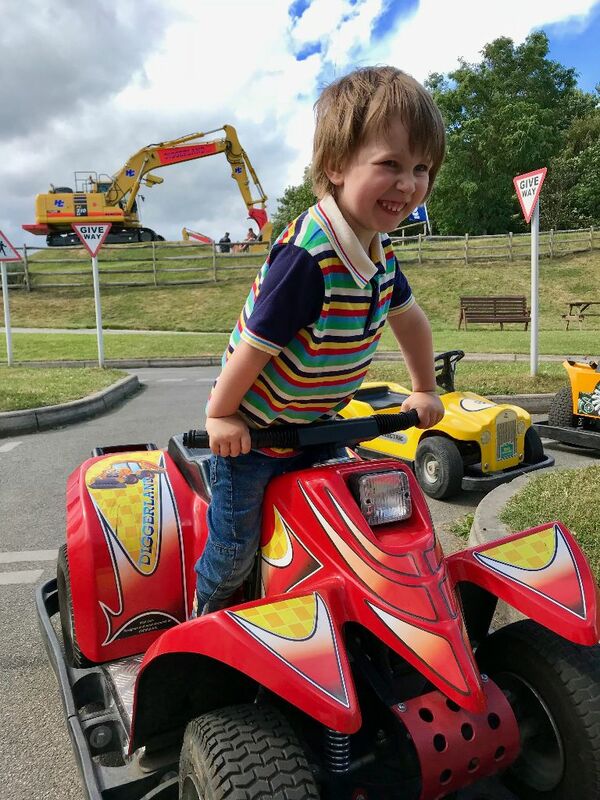 He’s already been to the National Railway Museum (birthday number two) so to satisfy his love of vehicles on his fourth birthday, we thought we’d give Diggerland a try. 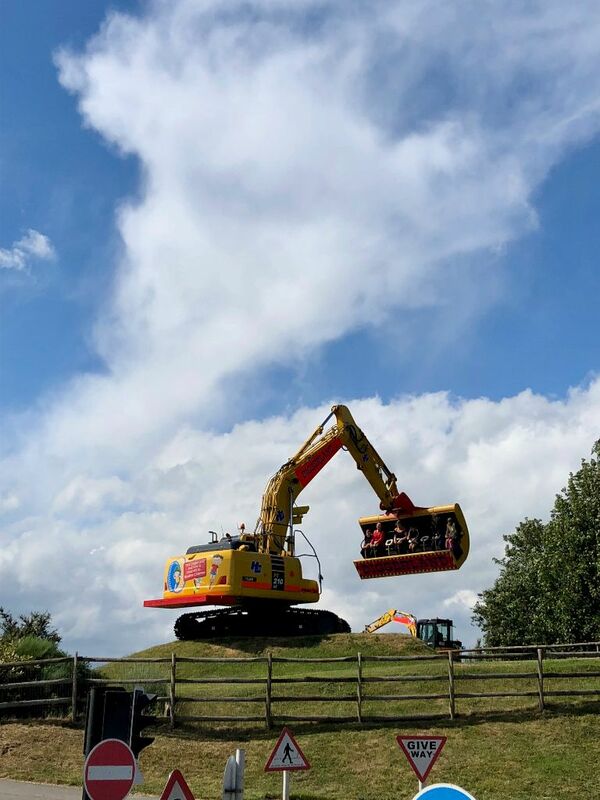 There are four Diggerland sites across the country, and Yorkshire has its very own, found in Castleford. I didn’t really know what to expect, but the clue is in the name really – a land of diggers awaited us, and we were READY. Things calmed down after that. The children had turns using real life diggers, digging real life dirt. It was such fun, and so exciting for them; when else would they get to have a go at something like this? Oh and there’s the Skyshuttle. Now, be warned, don’t go on this if you are prone to getting even slightly claustrophobic or if you’re at all scared of heights. 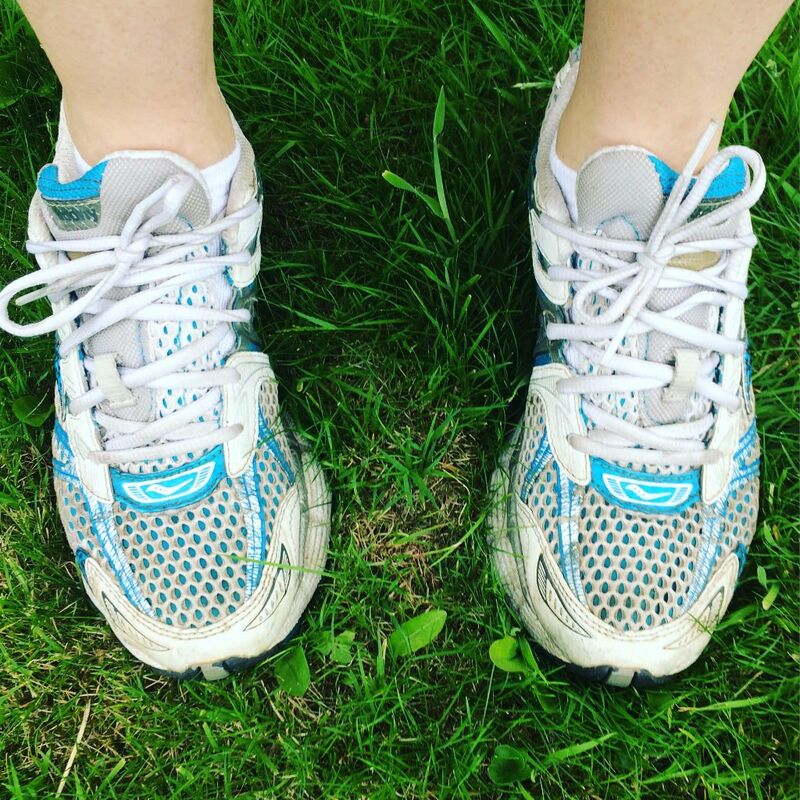 It’s amazing, and the views are spectacular, but you’re up there a good few minutes, giving your mind time to mess with you … I came off looking and feeling really rather grey. 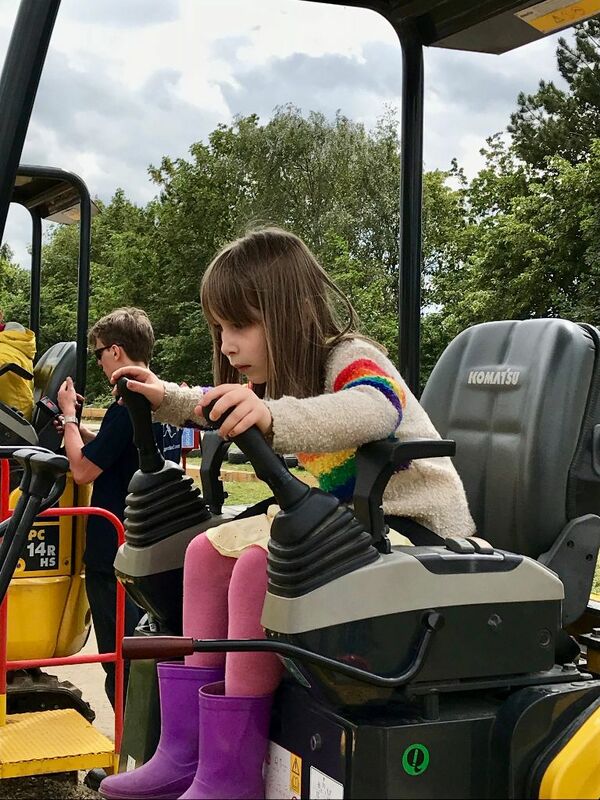 Emilia had a fierce determination when it came to the skittles and hook a duck games, which were played using a digger. Her face was stern and serious, and she didn’t utter a word. 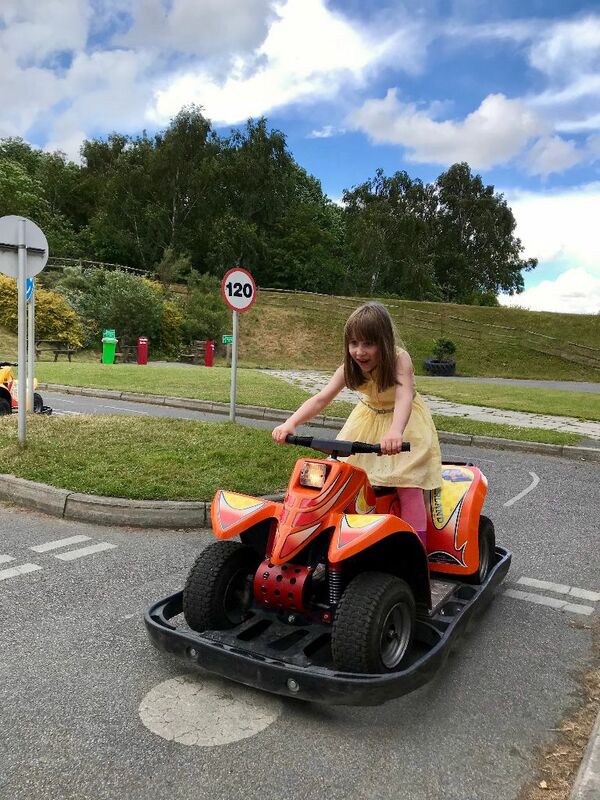 They’re frustrating, difficult games that would irritate me, but she just kept going and going until she’d done it, and she beat Mr M and Robin both times. Well done her. 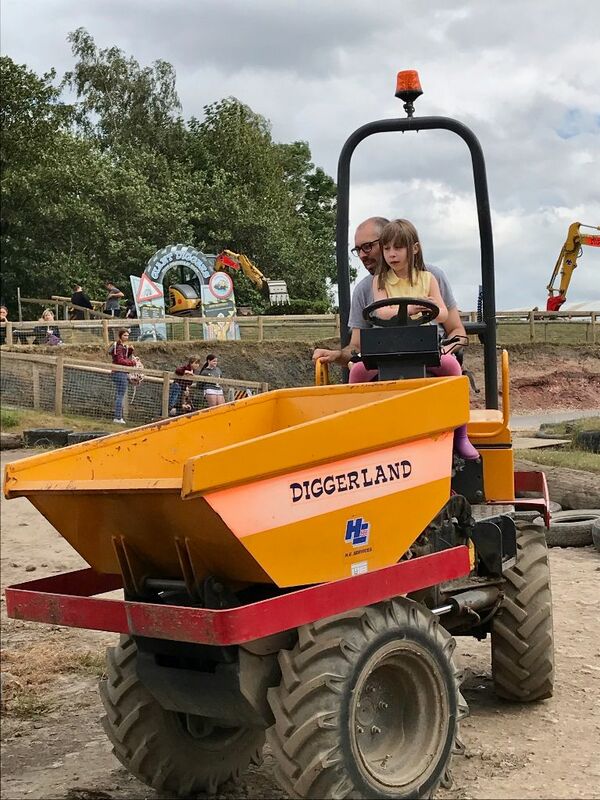 The kids are the focus in Diggerland, so they get to be in charge and drive around proper vehicles. 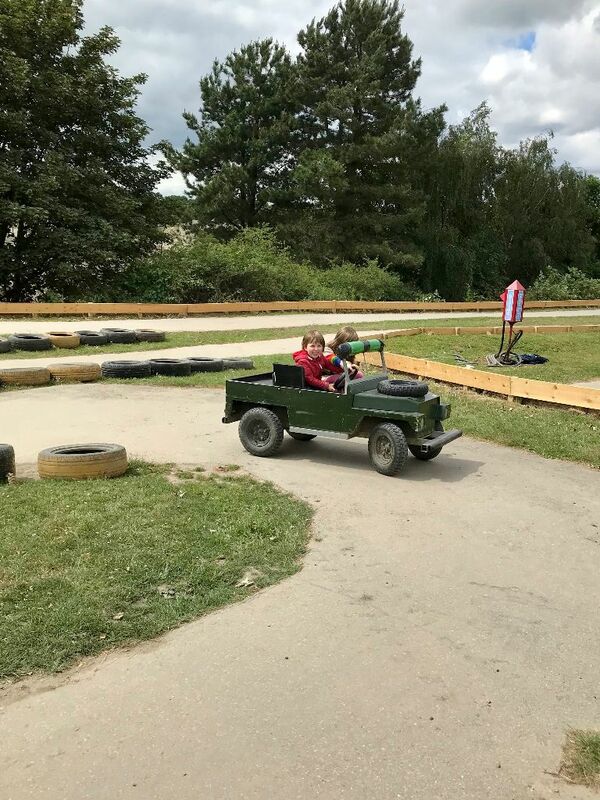 Robin couldn’t believe it as he rode off driving a mini Landrover (with Emilia occasionally grabbing the wheel to save them…). 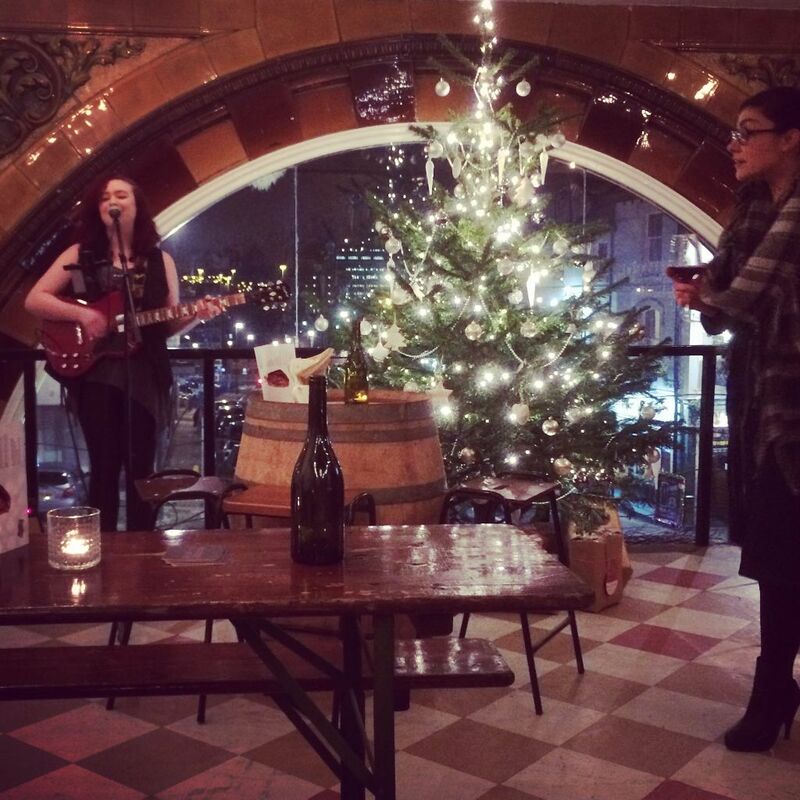 There’s no denying the fact that it’s expensive at £19.95 per person, however, there are ways to get around this. 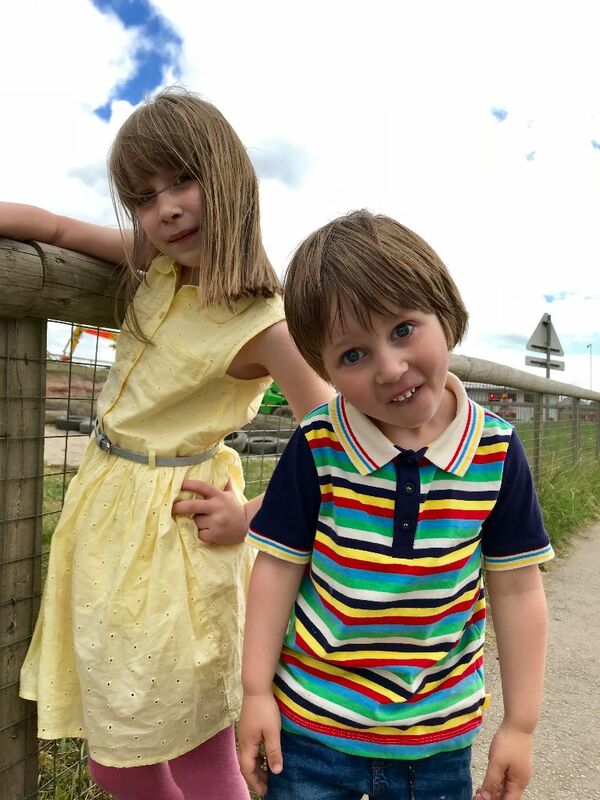 If you sign up to Diggerland’s newsletter, they email out vouchers from time to time (we got Mr M in free this way) and another trick is to look out for Kids Go Free vouchers – we got another free ticket by using one found on a bag of Milky Bar Buttons.